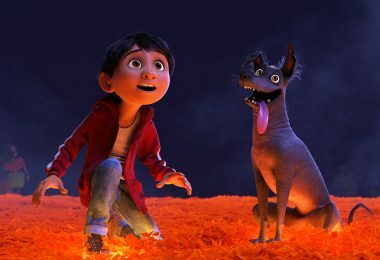 Meet Dante the dog from Disney•Pixar’s Coco, and Wreck-It Ralph 2 reveals its official title…Read more, along with other news from around Disney, in this week’s news briefs! How cool is this? 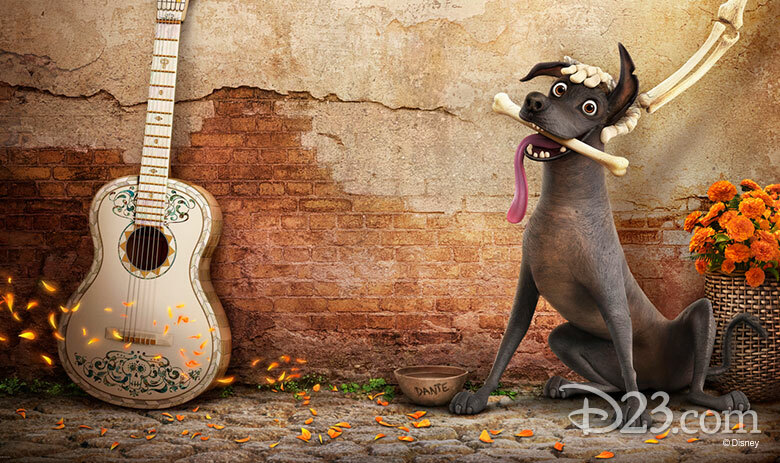 First we got to see the official trailer for Disney•Pixar’s newest animated film, Coco, two short weeks ago… and now, we can get to know Dante (the film’s adorable dog co-star) a little better in a brand-new short, Dante’s Lunch—A Short Tail, just released today. Check it out here! The Internet is a-buzz with some very exciting news to come out of CinemaCon (the official convention in Las Vegas for the National Association of Theatre Owners) last night: Wreck-It Ralph 2 has an official title, and a brand-new logo! 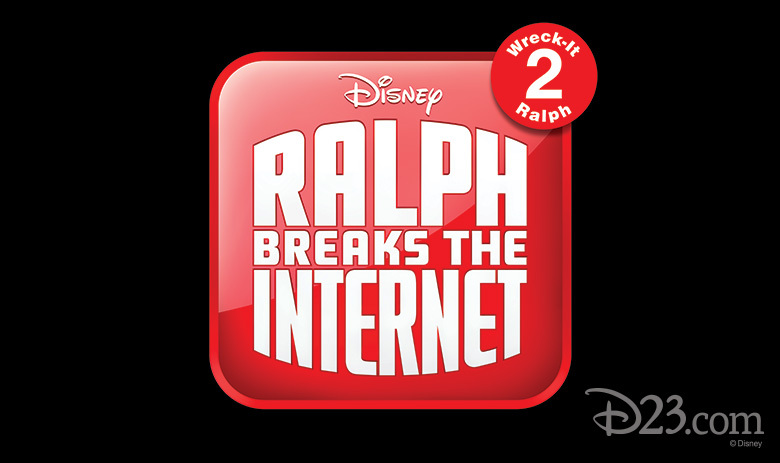 Ralph Breaks the Internet: Wreck-It Ralph 2 will open in theaters on March 9, 2018, and—as you can take away from the title—the film follows Ralph as he goes on what’s sure to be some amazing adventures in the land of the Internet! 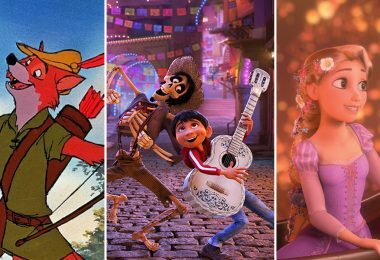 We’ve only heard a few other tantalizing snippets of info about the film so far… chiefly, that John C. Reilly is back as the title character, and he’s joined once again by Sarah Silverman as Vanellope Von Schweetz. Keep your eyes peeled (and your WiFi routers open) for more info as it becomes available. We’re (not-so-)patiently counting down the days ‘til the fifth installment in the Pirates adventure—Pirates of the Caribbean: Dead Men Tell No Tales—sails into our local cineplex, and we were needing a little somethin’ to help tide us over… so color us thrilled about this brand-new, behind-the-scenes look at the film, above. If you’ve been keeping track (like the good Pirates fans you are! ), you know that Oscar® winner Javier Bardem joins the sea-worthy shenanigans as Captain Salazar, a sinister apparition bent on exacting revenge on Captain Jack Sparrow (Johnny Depp). You’ll hear from Javier in this new video—which also briefly introduces us to actors Brenton Thwaites and Kaya Scodelario, who play Henry Turner and Carina Smyth, respectively. Don your tri-corner hat, gather up some rations, and mark your calendars: Pirates of the Caribbean: Dead Men Tell No Tales opens in theaters nationwide on May 26. 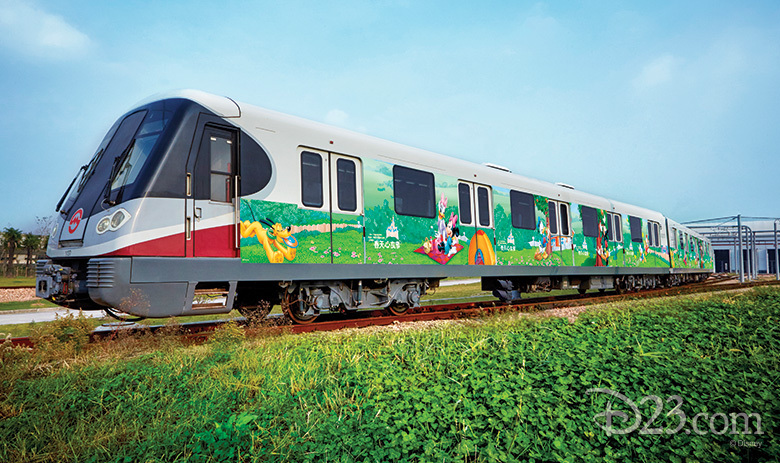 Spring is bloomin’ all around the world, and our friends at Shanghai Disney Resort are getting into the spirit of things by launching four new spring-themed trains on Metro Line 11, along with the city’s subway operator, Shentong Group. The trains are customized both inside and out with lovely decorations blending spring seasonal touches with classic Disney elements. Happen to be heading to Shanghai in the next few months? 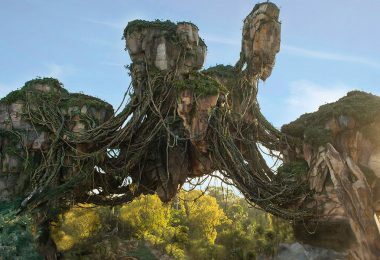 You’re in luck: With the recent launch of the new Shanghai Disneyland Spring Seasonal Pass, Metro passengers will also be able to scan a QR code printed on the interior of the train to purchase the new passes. (So convenient!) 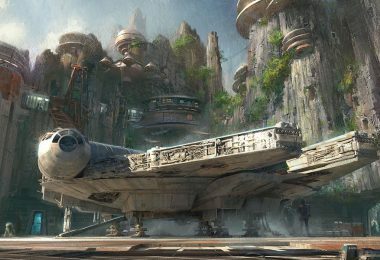 The new pass will be valid for multiple entries to the theme park by the same visitors from now through July 16. 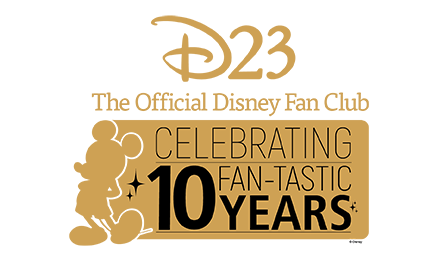 Seriously, this May is packed with cinematic goodies a-plenty! 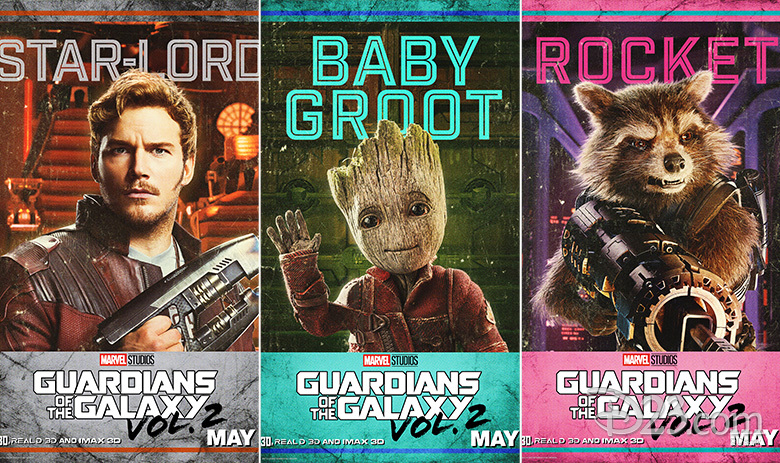 Case in point: We open the month with the return of lovable misfits Star-Lord, Gamora, Drax, Rocket, and Baby Groot in the much-anticipated Guardians of the Galaxy Vol. 2. 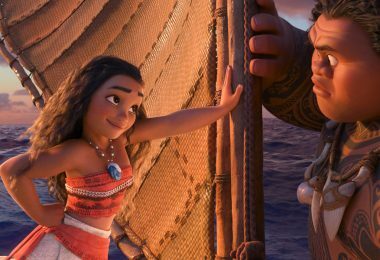 Take a look at the film’s new posters, as well as a brand-new look at the film, here. Tokyo Disney Resort is getting ready to celebrate all things spring (including their newly expanded Disney’s Easter event), and Duffy the Bear is welcoming a new friend to help him observe the floral-hued occasion. Her name is StellaLou, and she’s an adorable lavender rabbit who dreams of someday dancing on Broadway. She’s been helping teach Duffy about following your dreams. 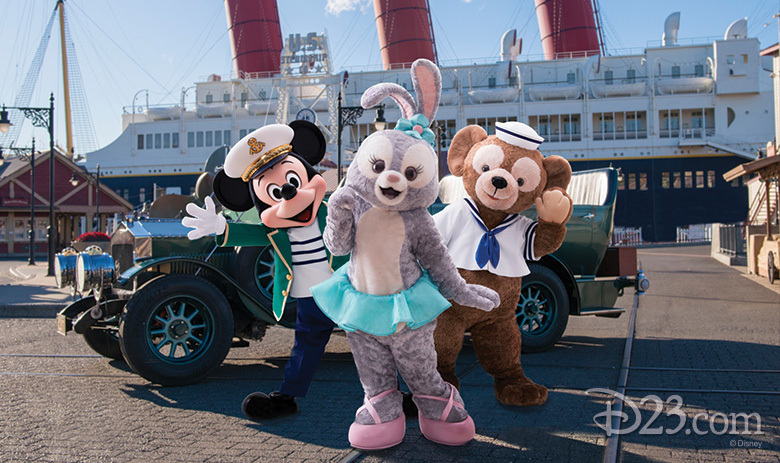 Starting April 4, guests can meet StellaLou—as well as Duffy and Mickey Mouse—during “StellaLou’s Greeting Drive” at the American Waterfront… which will also feature some totally cute StellaLou-themed merchandise and delicious eats. Click here to find out more. Welcome to the family, StellaLou! 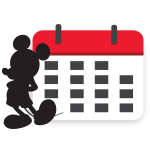 A tuneful new show is coming to Walt Disney World Resort, and it starts on May 26. 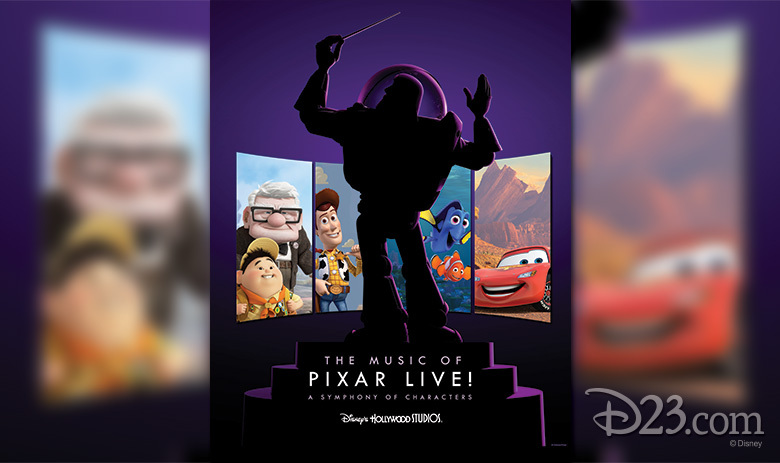 The Music of Pixar LIVE! 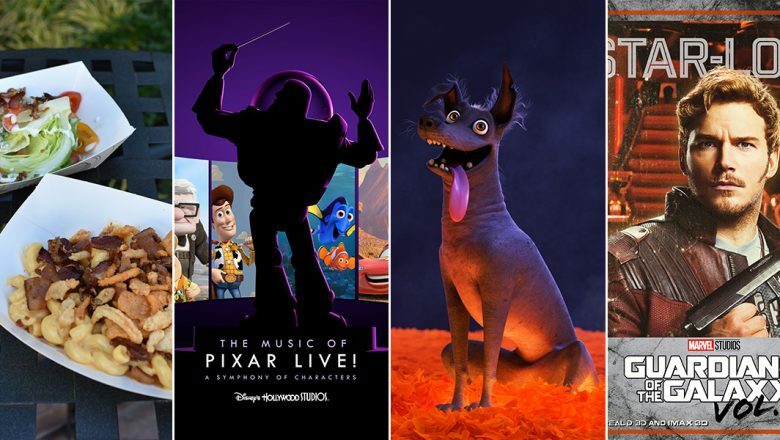 A Symphony of Characters will play three times nightly at the Theater of the Stars at Disney’s Hollywood Studios, and it’s set to feature all your favorite Pixar songs. Read more about it here! You’re in for a tail-waggin’ good time when Disney Junior’s newest animated series, Puppy Dog Pals, debuts with two back-to-back episodes on Friday, April 14, at 10:30 a.m. EDT! 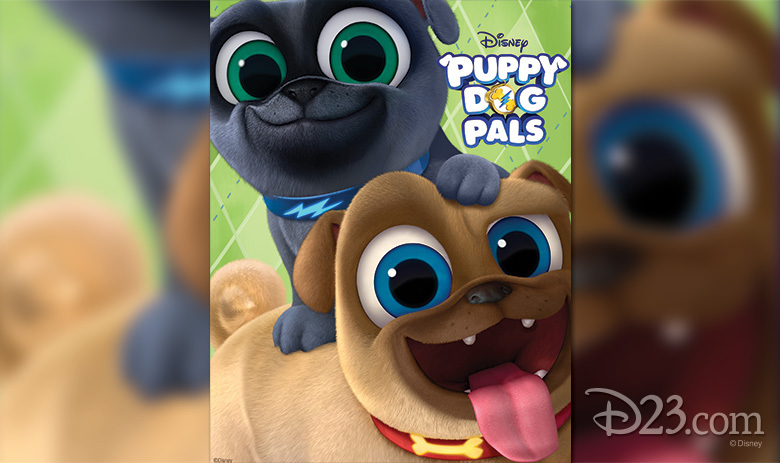 Created by comedian Harland Williams, Puppy Dog Pals follows two fun-loving pug brothers, Bingo (Issac Ryan Brown, black-ish) and Rolly (Sam Lavagnino, Miles from Tomorrowland), whose appetites take them on “paws-itively” thrilling adventures throughout their neighborhood—and around the world! Williams serves as a consulting producer and writer on the show, and voices the role of Bob, the pups’ devoted owner. 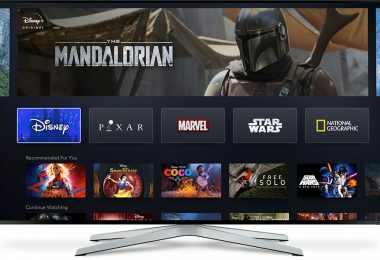 Recurring guest stars include musician Huey Lewis as Bulworth, the junkyard dog; Patrick Warburton (Family Guy) as Captain Dog, the star of the pups’ favorite television show; Jack McBrayer (30 Rock) as Hedgie the hedgehog; and Leslie David Baker (The Office) and Cheri Oteri (Saturday Night Live) as neighbors Frank and Esther Exposition. 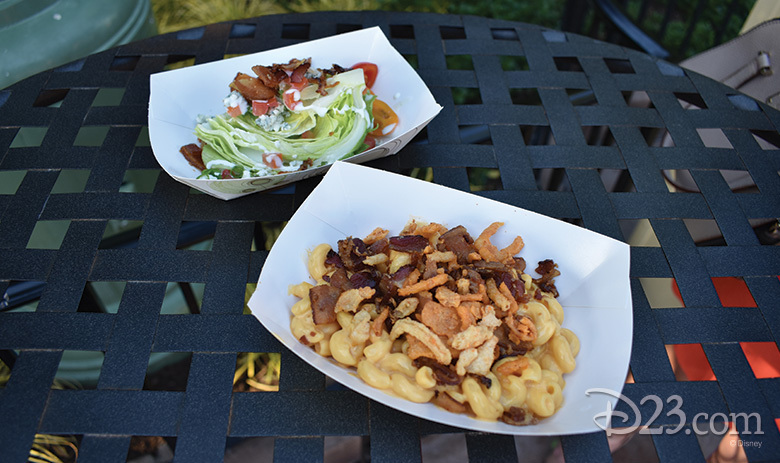 D23’s intrepid reporter Nicole Nalty recently spent the afternoon trying all manner of tasty treats and beverages at the Disney California Adventure Food & Wine Festival… it’s a tough job, but someone had to do it! Check out her rundown of delightful dishes (available now through April 16) here. 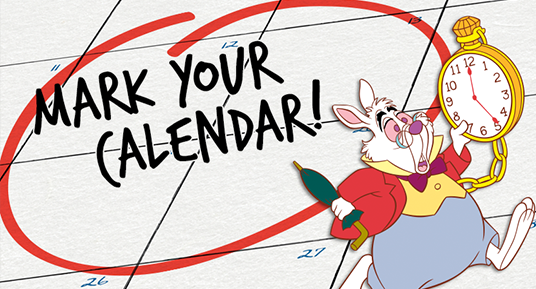 It’s a fun new trip for a fan favorite! Our friends over at the Disney Parks Blog recently debuted some new photos of Autopia—the classic Disneyland Park attraction where so many of us got “behind the wheel” for the very first time. 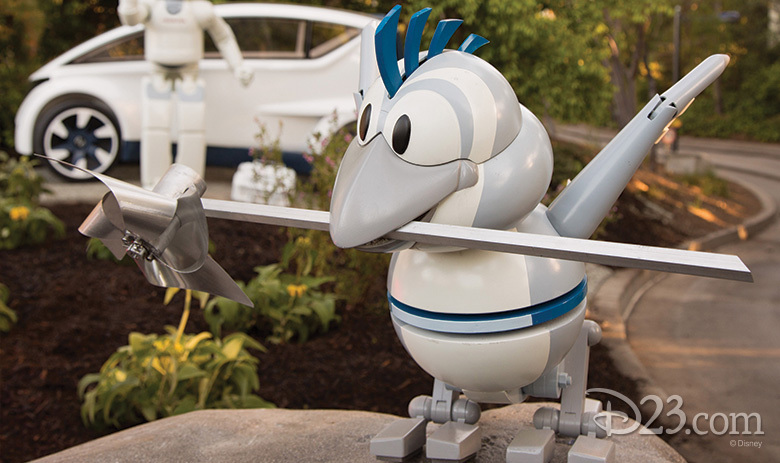 Featuring Honda’s amazing ASIMO (Advanced Step in Innovative Mobility) humanoid robot and its new friend Bird, Autopia now takes guests on a fabulous “road trip” that begins at a friendly campground. Back in spring 2016, Autopia got a headstart on its refresh when its cars were repainted in cool Honda colors—and fuel-efficient Honda engines were installed under the hood. Take a spin through Autopia’s new story during your next visit to Disneyland Park! Lin, who’s currently shooting Mary Poppins Returns in the United Kingdom, walked the streets of London for his portion of this fun new video, while Jordan took to the New York City streets… all before the two actually came together (for realsies) in a recording studio for the video’s big finale.